What are Fractals and why should I care? Fractal geometry is a field of maths born in the 1970’s and mainly developed by Benoit Mandelbrot. If you’ve already heard of fractals, you’ve probably seen the picture below. 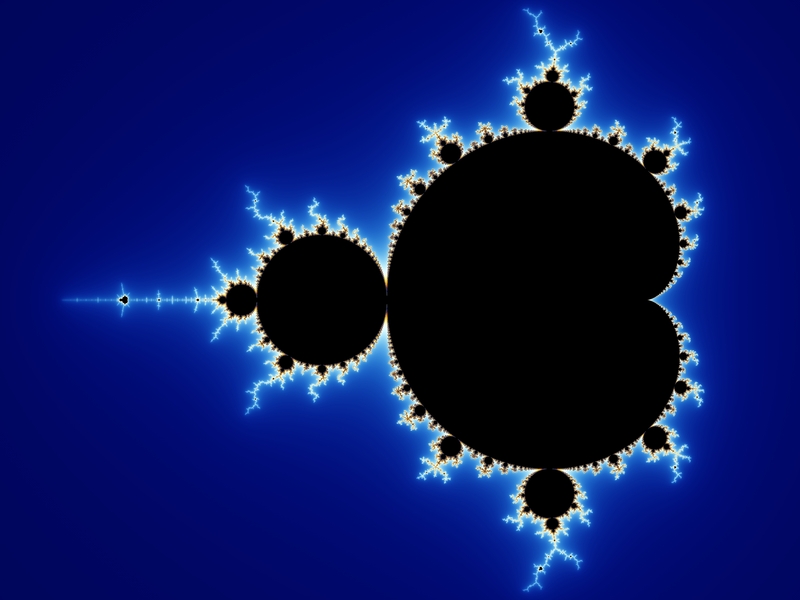 It’s called the Mandelbrot Set and is an example of a fractal shape. The geometry that you learnt in school was about how to make shapes; fractal geometry is no different. While the shapes that you learnt in classical geometry were ‘smooth’, such as a circle or a triangle, the shapes that come out of fractal geometry are ‘rough’ and infinitely complex. However fractal geometry is still about making shapes, measuring shapes and defining shapes, just like school.